This entry is a photo journal from a trip that Adam McNamara (store manager at Orvis Portland) recently experienced the weekend before Thanksgiving. I was recently joined by a bunch of friends for a trip on the John Day, probably my favorite Summer Steelhead river of all time. While the John Day can be absolutely amazing it is also notoriously fickle, and as some of our group traveled from as far away as California and Vermont quickly learned swinging for Steelhead in the Northwest is always far from a sure thing. Regardless of the outcome we had a great trip and are already planning the same for next year. Good Morning - The view from the deck of the house. You can see the river is almost frozen over downstream of the house, it was entirely frozen over upstream. Hope spring eternal - With ice on everything and water temps at only 33 degrees you need faith to fish the swing. 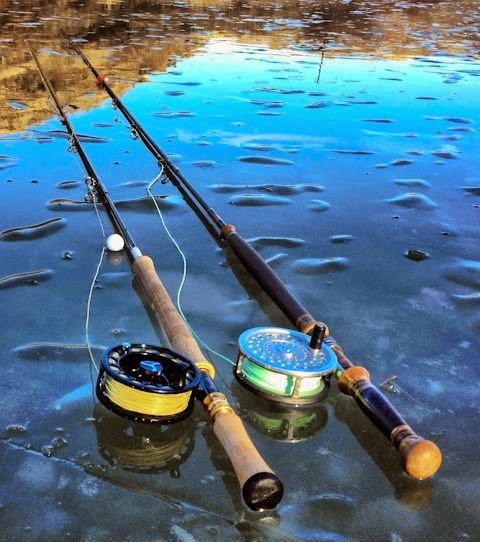 Rods on Ice - Desperate times called for desperate measures, someone put an indicator on this Spey rod; It didn't work. Bare Necessities - Everything you need for a great day of swinging fish, regardless of the weather. 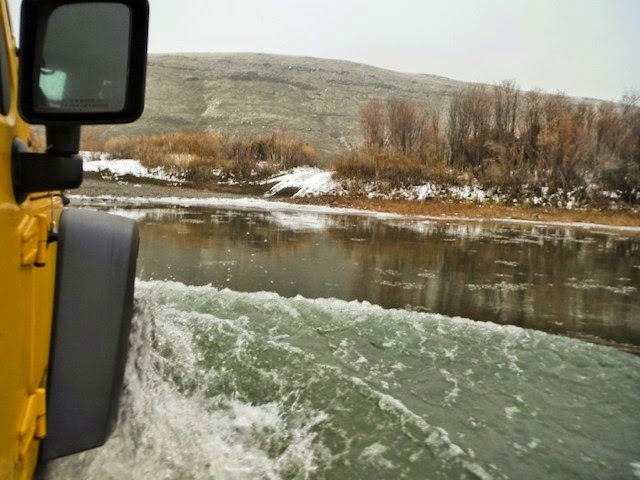 A cold Klick morning - A couple of us headed to the Klickatat one morning; it is a fairly short drive but a drastically different river. Many thanks to Jay from the Evening Hatch for the amazing day and great fishing. Middle of the Klick - Orvis endorsed guide and all around fishy dude Brandon Bischof gets after it on the Klickatat. Sometimes you need to wade deep to get the right swing. Finally some Chrome - Chuck from Wildwaters Fly Fishing left excellent fishing on the Klamath to come see some new water. After a lot of work busting ice and freezing his but off, he finally gets some payoff. Flying the fin - This beautiful hen just couldn't resist a bit of cerise and purple no matter how cold that water was. Careful release - This little girl is about to head home none the worse for wear. I love a shot of fish in the water, it seems as close as you can get to seeing them in their world. Looks like a great day of fishing my friend. Tight Lines!